The Brick Castle: You Wouldn't Want To Be A Shakespearean Actor. Children's Book Review. You Wouldn't Want To Be A Shakespearean Actor. Children's Book Review. I love the fact that my 6 and 7 year old boys want to read all kinds of different books, and now that they are becoming competent independent readers a whole world is open to them. 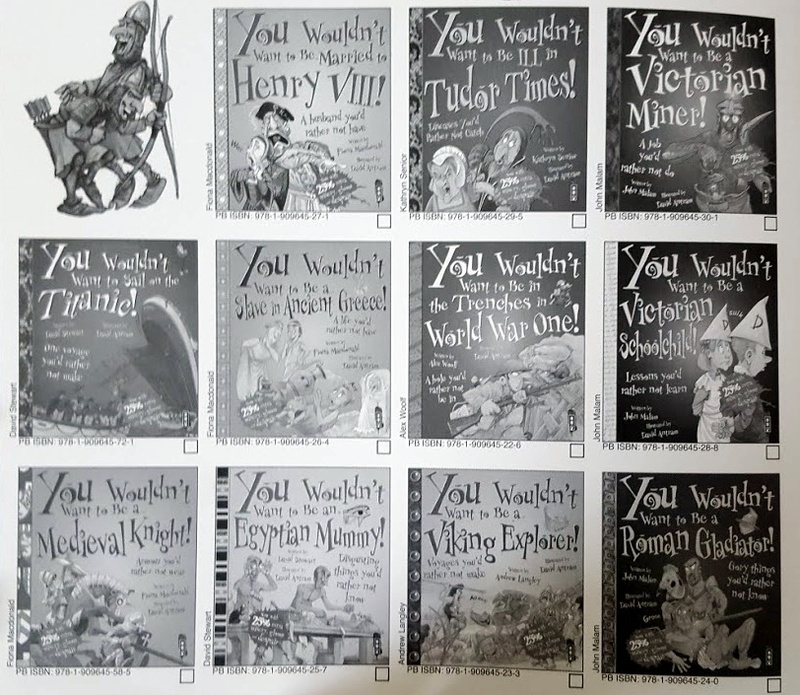 "You Wouldn't Want To Be...." is a series of books detailing the kinds of historical jobs that you probably wouldn't have wanted, mixing humour and history and really giving an insight into the lives of people in the past. 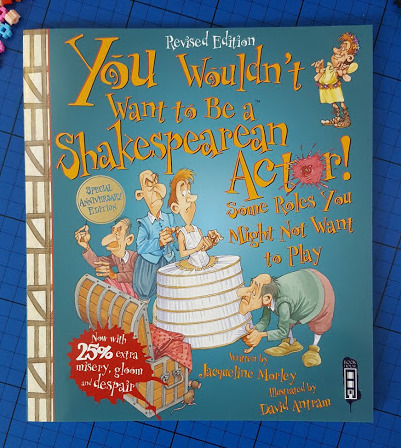 You Wouldn't Want To Be a Shakespearean Actor is written by Jacqueline Morley and illustrated really fittingly by David Antram. It shows us the less-than-glamorous side of treading the boards back in the 16th Century. For starters actors nowadays might complain about costumes, but they have it easy.. 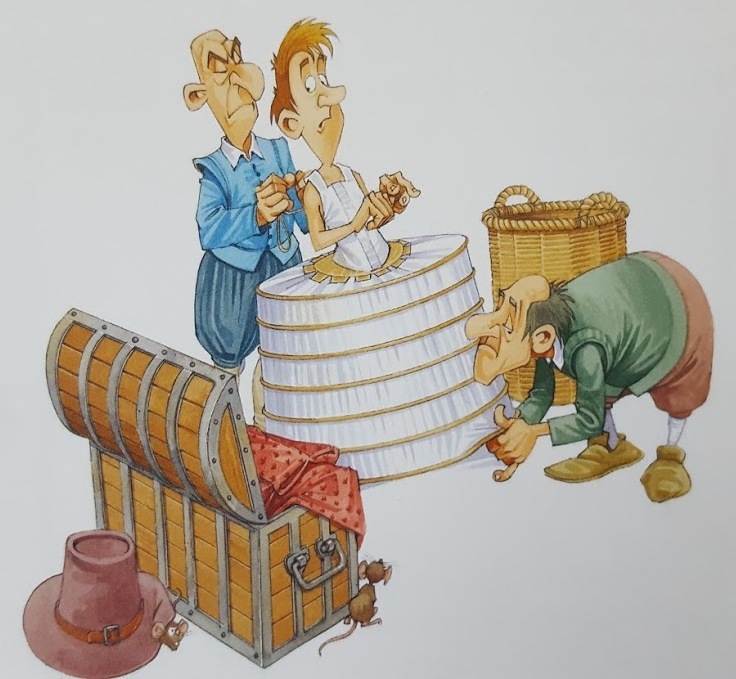 The illustrations are full of humour and detail, and the accompanying text explains in clear language exactly what is happening. 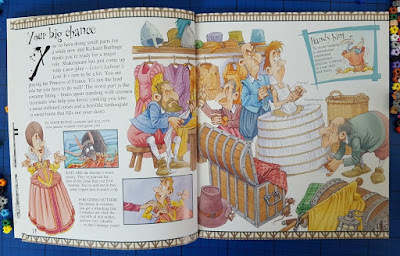 There are smaller images around the pages, with short paragraphs of text, so this is a great book for a less confident reader, as it isn't intimidating. 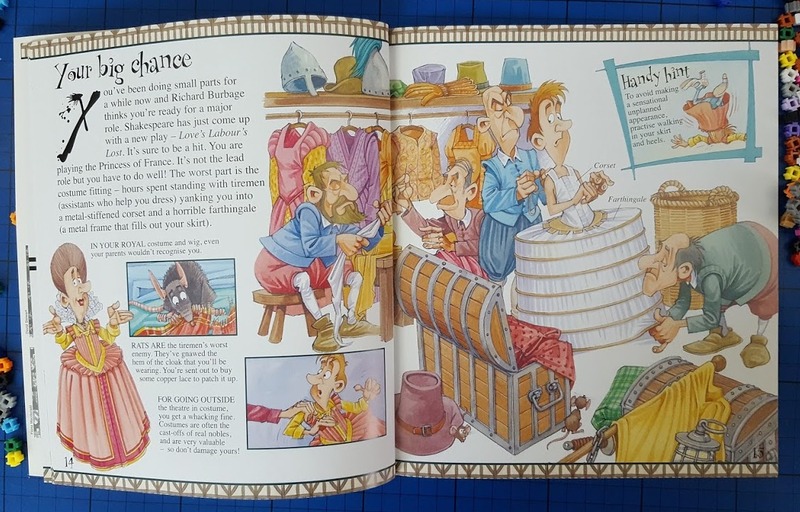 Some amazing words are introduced, such as 'Farthingale' and 'attire', and these are understandable to the reader in context where they fall in the sentence, and there is also a useful glossary at the back. 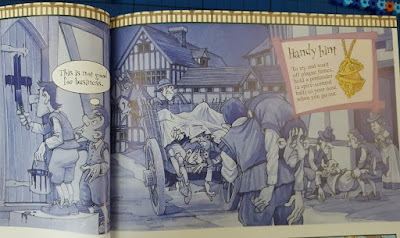 There is plenty of gore, but a lot of humanity, which I feel is sometimes missing from modern children's history books. 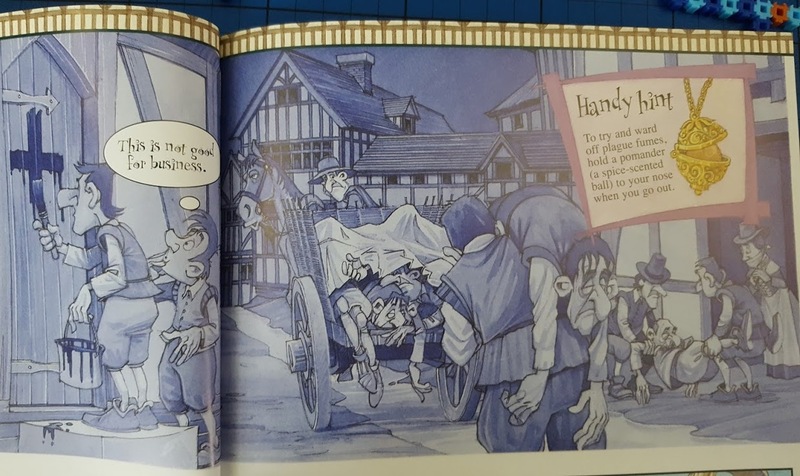 It really must have been a very hard life, and events like The Plague happened to real human beings with friends and family. The images aren't maudlin, but they are more respectful and thoughtful. My 7 year old really enjoyed this book. 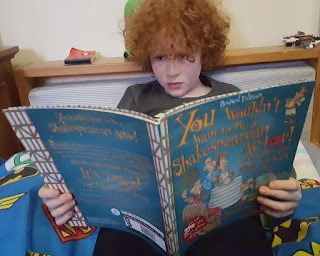 It was great fun, fabulous for provoking discussion, and read very much like a magazine or comic, making it more interesting to my 6 year old, who isn't yet ready to face huge chunks of text. You Wouldn't Want To Be A Shakespearean Actor has 40 pages and a soft glossy dry-wipe clean cover. Published by the Salariya Book Company and with an rrp of £6.99, from all good books shops including Boolino. We were sent our copy of this book for review.